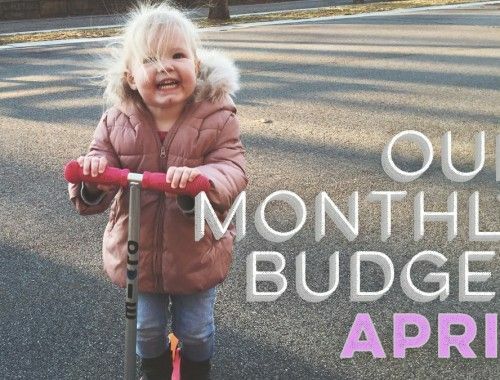 We’re pretty excited for a new month to try our hands at budgeting. Despite starting our new budget last month, we still had extra expenses with getting settled in and restocking our pantry. So September will be a welcomed fresh start. Johnny’s excited for September for other reasons… cough, cough… college football. Saturdays from now until November will be devoted to the almighty College Game Day. Pray for me. But maybe it will be good for our budget… college football will consume us so much that we won’t have time to even think of spending an extra cent. So without further delay, how about we jump right into September? We still haven’t gotten our first utility bills in our new place, so we may be adjusting the current numbers for those once we know more. 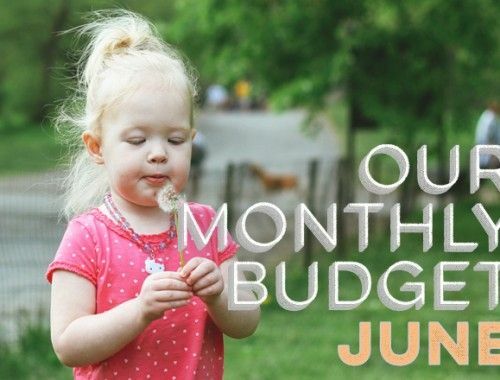 I’ll be keeping track of all of our meals in September so I can do a comprehensive post on what a month of meals and grocery/food costs look like in our house. I’m excited to share it at the beginning of October, so stay tuned! I feel like September is the last normal month of the year before the craziness of the holidays begin. I’ve been known to start a little Christmas shopping in October… With all the unexpected costs that our budget has taken on these last couple of months, we’re ready for a normal month ahead. 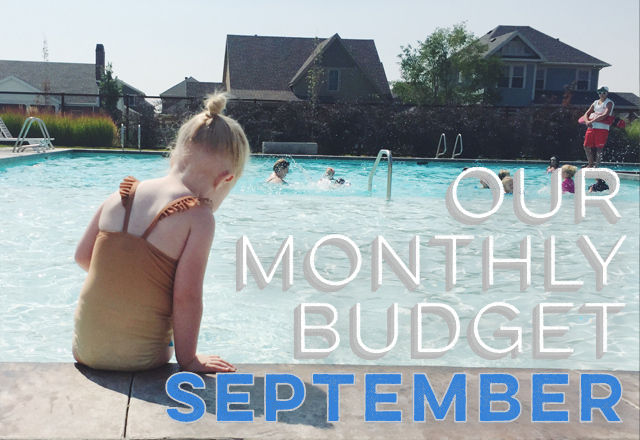 How is your September budget shaping up? Looking forward to the post about a month’s worth of meals/groceries! I am always interested to see how other people make it work, especially on a budget. Well if you guys can manage to save 50% of your combined net incomes by year end then that will be a major achievement, what with all your hectic activities so far this year! As for us, well our September budget (given that we are both retired now) is pretty stable, what with regular fixed incomes and spending pretty much on track as in the past. 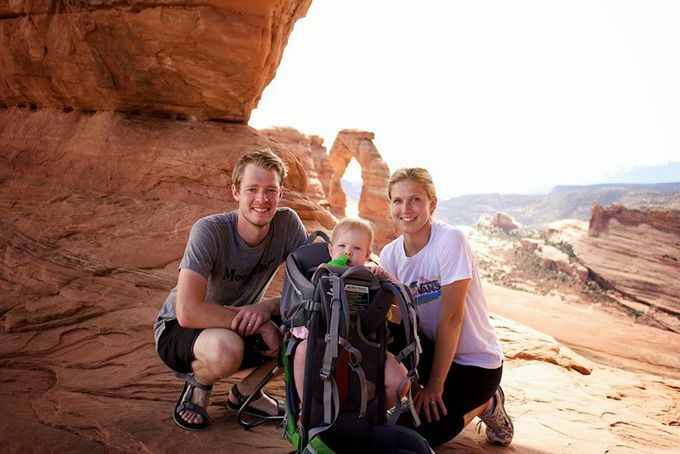 Investment income is the major variable in our lives these days so that we simply judge on how things are going in order to decide on any “extra curricular” spending on any unplanned things or activities. Generally it’s all good. Your budget seems well defined. I’m excited to read your food budget post… That number amazes me! I work pretty hard at keeping our grocery budget in check and I am nowhere close to your numbers… My kids are a little bit older, but still! Can’t wait until your food posts! Will you break down the cost on a per meal basis? And if you do it for a couple months you will have an amazing resource for your planning going forward! Wow! You guys have a great rate on car insurance! Would you mind sharing who you use?? Good thing that you still continue to give 10% of your income to charitable donations. Every Sunday too, I always give some amount to our church. 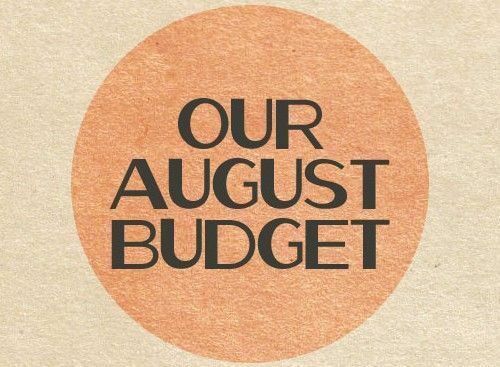 We are never this behind–we haven’t even put together our September budget! Thankfully we’ve put spending on a hiatus until we sit down and do it, but we’ve been so busy we haven’t made time. How do you watch college football without cable or satellite?! I want to ditch our dish so badly it football is a deal breaker in his household.